Warmest festive wishes to all of my readers and fellow Girl Guides and Scouts from around the globe! I wish you all a peaceful and extremely happy holiday season from my heart to yours, and hope that your new year is one of wonderful adventures, great health, and oodles of fantastic patch trades! available from the British Columbia Girl Guide shop. Please see this page for further details. Have you heard of the Badge Collectors Club? One of the best parts of collecting patches is the wonderful community of fellow collectors that exists. I love getting to met and trade with wonderful people from across the globe (as well as in my own backyard!). Sometimes though it seems like it can be hard to find new people to swap – or just chat about crests – with. 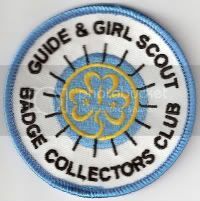 If you’re looking to expand your list of swap contacts, love reading about patch collecting or would just like to stay abreast of some of the patch related news that happens around the world, then without a doubt the Girl Guide and Girl Scout Badge Collectors Club is for you! This terrific club is centred in the UK and run by a lovely lady named Annette Preston. The cost of club membership is very reasonable: £8 in UK and £10 for those outside UK (which can be paid in cash, UK Cheque, or by UK/international money order, in the following currencies: Euros, Pounds, Australian dollars, US dollars, and Canadian dollars). Membership entitles you to six printed club newsletters each year, plus a hugely useful CD upon joining, which is jam packed with a directory of known patches from various countries. Each of the multi-paged newsletters features information on topics such as recent Girl Guiding and Scouting events (particularly in the United Kingdom), write-ups about the patches and relevant Guiding information about particular parts of the world (in the most recent newsletter, New Brunswick, Canada was in the spot light), the names and contact info of new members, general GG and GS patch related articles, and member profiles (including what patches people are specifically looking for and/or have to trade). I’ve been a member of the club for a year now and adore receiving the newsletters, which arrive like clockwork every two months, and highly recommend becoming a member to fellow patch enthusiasts. Guide and Girl Scout Badge Collectors Club membership application form. Please complete and return, to the above address. Data Protection Act – I give permission for my details to be held on a computer. I give permission for my details (*address / e-mail) to be published in the newsletter. This is official Badge Collectors Club patch. plus SAE, from the address above. My goodness, has a year really zoomed past since I first began this blog? It has indeed, and today is this site’s first anniversary, its “blogiversary”, if you will. While elements in my personal life have at times prevented me from posting as often as I’d like, I’m also pleased with what I have had a chance to write about. A huge element of any site is its readers and visitors, and nowhere is that more true that on a blog like this one that offers an element of “real world” interaction via patch trading. I began blogging about Guiding topics just a few days after I started collecting patches (et al) again for the first time since I was a youth, and over the past twelve months I’ve had the pleasure of trading patches and pins (and occasionally other GG/GS items like scarves and postcards, too) with fellow collectors from five different continents! I want to take a moment to sincerely thank everyone that I’ve traded and chatted with over the past year. I’ve loved shipping off little parcels of crests to places as far-reaching as New Zealand and Ethiopia, as well as to my fellow Canadians and a plethora of lovely folks from many other countries. 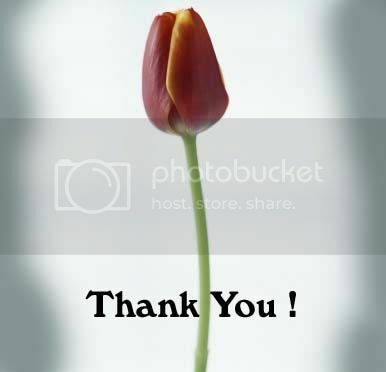 Thank you also to all of the people who visit this blog! I hope that you enjoy reading its contents as much as I enjoy writing them. Here’s to another wonderful year of covering Girl Guide and Girl Scout topics – and taking part in patch swaps – that lies ahead! When it comes to swapping patches, badges, pins and other pieces of Girl Guiding and Scouting paraphernalia, have you ever wondered what accounts for an equal sided trade? In other words, what you need to trade in order to ensure that both (or all) parties involved in the swap feel that the trade has been fair and balanced. As groups go, I’d have to say that the Guiding and Scouting community is not a tight-laced bunch. Most people are happy to swap “like for like” and I’ve rarely heard of any disputes arising over trades that have been worked out in advance. Generally the rule of “one for one” applies to any Guiding related item (from crests to scarves, key chains to postcards), so long as the patch or other item that each person has is of similar value and degree of rarity. However, it never hurts to know what to do if you encounter a trading situation where someone wants to swap for something which you don’t have an equivalent of, or if they’re interested in patches and you’re into merit (proficiency/earned) badges, for example. The following list is based on my own experience as a trader and on the very helpful advice that my good friend Louise St. Germain gave me, back when I a newbie patch collector, on this matter. Please use this list as a guideline only, and always rely your own judgement when it comes to determining what you feel is fair for a given swap (keep in mind that older and/or rarer items are often viewed by their owners as being worth more and may therefore require that multiple items be traded for one rarer piece). After all, the point of any trade is to feel happy and make new friends, not to feel like you’ve been ripped off or taken advantage of. One (Canadian) Area/Division/District/Provincial crest (patch) for two “fun” (camp, cookie, challenge or other non-A/D/D/Council ) patches, two proficiency badges (or one rare/very old badge), or two woven silks (from Canada, the US or overseas). One UK or Australian Standard crest for two (or sometimes even three) A/D/D or Council patches, or 3-4 fun patches, proficiency badges or silks. One UK or Australian Standard crest for 1-3 pins (Canadian, American or foreign), depending on the type and rarity of the pin(s). One overseas (woven) patch or pin for one overseas patch or pin or two silks of a similar nature (for example, one patch from a camp in Scotland for one from a camp in New Zealand). One WAGGGS or World Centre (woven) patch or pin for two (woven) location specific patches (A/D/Ds, Councils, etc), 1-2 pins, 3-4 fun patches or 2-4 silks. One WAGGGS or World Centre silk for location specific 1-2 silks or 2-3 fun silks, or one pin. One Canadian Girl Guide uniform scarf/tie for one scarf, 2-4 A/D/D or Council patches, 4-6 fun patches or silks, 3-6+ proficiency badges, or 2-4 pins, depending on how rare the scarf is. Please keep mind that this list is by no means a complete rundown of all the possible trading scenarios you could potentially encounter. It’s merely a sample of some of the more common ones that Canadian and American collectors (in particular) might find themselves in. Do you agree with these trading guidelines? Do you have a different list that you go by? I’d love to hear your thoughts on this topic and welcome you to post a comment about this article. A few weeks ago while checking in on the GGC website (as I like to do often), I noticed that the new Girl Guides of Canada catalogue had been released. As an avid collector of patches and other pieces of Guiding memorabilia (and as a big fan of the annual GGC catalogue), I was excited by this fact, however I felt a little let down upon venturing through its PDF pages (at this stage I’ve only seen the 2009 catalogue in its online form, but just as was the case last year, I’m sure that the paper version will be the same as the internet one). The reason for my lack of enthusiasm? In my opinion, the catalogue is extremely similar to last year’s. Of course a lot of elements (such as uniform pieces) are generally expected to remain the same from year to year, but I would have liked to see a handful of new fun patches and (more) non-uniform items make their debut in this catalogue. I have a (paper) copy of nearly every GGC catalogue since around 1990, they’re beautiful and enjoyable pieces to look through and spend time admiring items from days gone by. However in more recent years I’ve noticed that the number of “fun” items (things like dolls, toys, stationery items, stickers, key chains, and other sundry articles) have greatly diminished. As a collector, I really wish this wasn’t the case, but as a realist, I understand that the budget to produce and market such items may simply no longer be available (or that money may have been put to use elsewhere in the organization). Still, with each newly released GGC catalogue I can’t help but keep my fingers crossed that a larger assortment of fun items bedecked with a trefoil will appear. And while we’re still wrapping up 2008, I’m already looking forward with eager anticipation to the 2010 catalogue, in the hope that it will once again contain a broader assortment of lovely GGC items (after all, the more interesting and new items they put out, the more I’m likely to purchase and thus help provide the GGC with revenue for). What are your thoughts? Do you like a smaller, more concise and program centred catalogue or would you like to see a return to more pages and a wider assortment of items? Since this blog was created last autumn, I've received a wide array of emails from many fellow GG/GS members and collectors, quite a few of which often touch on the same subjects. As such I thought that my readers might find it useful if I had a FAQ section in which I provide answers to the most common questions that I receive in regards to Girl Guiding and Scouting topics. This page will be updated as the need arises, and in case this section doesn't cover your query, I look forward to hearing from you any time you'd like to chat about the wonderful world of Guiding. Are you associated with WAGGGS? No, we are not associated with WAGGGS (World Association of Girl Guides and Girl Scouts) or any other official Girl Guide or Girl Scout group, and make no claim whatsoever to be. This website is a personal blog, wherever possible I've striven to ensure that all information is/was as accurate as possible (or have given further explanation if I was uncertain as to the factuality of something), but I am not an authoritative expert on the subject of Guiding – just a woman who is passionate about the subject. I, as an individual, most certainly trade patches (and the like) and am always interested in trading with people from Canada and around the world (please check out my dupes and traders list and email me if you'd like to trade or discuss trading). I'm also personally interested in buying patches, especially Canadian ones. However, this site does not sell any patches (or anything else for that matter). If you're looking to buy patches, try contacting the Guide and/or Scout shops in your area or joining some of the free online patch trading groups (garage sales, online auction sites, secondhand shops, and flea markets are also all good places to look for patches and Guiding related items). This site also has a regularly updated list of other online patch traders, which you may really find of interest if you like to collect and trade GG and GS crests. Can you help me find this patch/pin/crest/stamp/button/uniform/postcard/etc or answer this question for me? Time permitting, I'm always willing and happy to help fellow collectors. But do keep in mind that I never make any claims of being the biggest Guiding expert in the world, so I may not be able to answer all of your specific questions. If your question pertains to Guiding in Canada (the GGC), there is a somewhat better chance that I can help, as this is the area that I have the most experience with. If I don't know the answer to your query, I'll certainly do my best to point you toward someone/the appropriate Guide/Scout administrative body who may be better able to assist you. Do you have a list of all Councils, Areas, Districts, Divisions, Troops, etc in my country? As each country choses to divide the Girl and/or Scout groups in their country up based on their own geographical layouts, not all countries are divided (and subdivided) the same. At this time I don't have a list of all of the “divisions” of each country, I would venture to guess that even the people at WAGGGS would have a bit of time compiling a list such as this. As a point of reference for US Council patch collectors, you may find this list of 319 GSUSA Councils helpful (please note that as of August 2006, the number of US councils has shrunk dramatically and new councils are being formed still at this time, so this list is more for people who are into patch related collecting, rather than for current geographically factual purposes). Canadian Guiding is divided into far more groups (geographical regions) than our Scouting sisters to the south. In fact, over 1,600 past and/or present Canadian Areas, Divisions, and Districts have been identified, though the GGC itself, does not (to the best of my knowledge) put out a list of A/D/Ds for the general public, so it can really tricky at times to find an accurate list. That said, some people have worked tremendously hard to compose their own lists of Canadian A/D/Ds. Two such diligently hard working souls are Louise St. Germain and Ursula, whose lists are the best that I know of anywhere on the web. A small number of links to the geographical breakdowns of various world countries (such as England and Australia) can be found on our Patch Trading Directory page, but there are very few such links (in English) available on the web. If you live in other parts of the world, your best bet is to contact your National Girl Guide or Scout body and ask them for further information on the geographical breakdown of your country. I've heard that Ontario no longer uses the A/D/D system is this true? Yes, it is true. I am absolutely not an expert on what led to the Ontario Council's decision to do away with the A/D/D system, but I do know that in its place, Ontario now uses the Administrative Community system. Instead of having Areas, Divisions, and Districts, the province of Ontario is presently divided in 39 Administrative Communities (ACs), which employee a single tier system (as opposed to the A/D/D three tier system). Each of these Communities is represented by at least one Administrative Community Leader, whose role is much akin to that of a District/Division Commissioner. At this time the Ontario Council (which includes the territory of Nunavut) is the first Provincial Council to adopt this new system, as far as I'm aware. For more information on these recent changes (right from the source! ), including a page which describes where the geographical boundaries are for each Administrative Community in Ontario, please use this link from the official Girl Guides of Ontario website. Or alternatively, you can also reach the Council by phone at (1)-416-920-6666, by fax at (1)-416-920-1440, or by email. 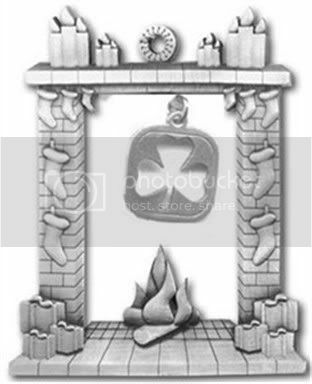 A camp – or campfire blanket – is a a blanket (homemade or store bought) which is often made of fleece, flannel or another sturdy material onto which a person may choose to sew (or glue, or otherwise attach) items such as Girl Guide/Girl Scout badges, sashes (often with badges), crests, silks, patches, scarves (neckerchiefs), and other mementos which they have either earned through their time in Guiding, bought (as in crests, etc) or traded with others (such as Area or Council patches). Such blankets are often cut/sewed to form a poncho or cape shape, which allows their owner to wear them at certain types Guiding events such as camps and some kinds of day trips. Campfire blankets are not a mandatory part of the Guide/Scout uniform or protocol, and are merely a fun expression of one's interest in Guiding. There are no hard and fast rules when it comes to camp blankets, each person's own whim is what dictates how their blanket (if they wish to keep one) will look (some people also like to embellish their blankets with embroidery, wool stitching, glitter or other decorative means). In addition to (or instead of) a campfire blanket, some folks like to use camp hats, scarves, vests (fleece vests work well for this), sleeping bags, and other linens as a means of displaying and collecting their patches, crests, badges, silks and the like. Campfire blankets are popular with those involved in Boy Scouts too, and a mixed Scout-Guide jamboree or other camp (as with girls only Guiding camps) can be a terrific place to see a wide array of campfire blankets. Will you add my link to this site? If your website/blog/forum/Yahoo Group/etc directly relates to some aspect of Guiding (such as Guiding in your country/location, patch trading, SWAPS, and so on) and is not a link-bait site, yes, there is a very good chance that I'd be more than glad to add your link (please contact me via email). This site is all about the sisterhood of Girl Guiding and Scouting, so the more pertinent links, the better. When I last posted here the snow was still heavy on the ground, creating massive banks and rising high enough to entirely cover our bottom floor windows. In the weeks since mid-March I've had many ups and downs, come through surgery and seen a new season blossom without me even getting a chance to officially say good-bye to that (sometimes insipid, sometimes elegantly beautiful) snow. As I type these words I still have a period of recovery before me, but I hope to be able to post from time-to-time as I work my way through these weeks of rest and healing. I've long believed that healing comes not just from a pill or a doctor, it can also come from (or be fostered by) our own outlook on a given situation and from the care and support offered to us by the dear and special people in our lives. And on that note, I would truly like to thank everyone who sent me emails and cards, enquired as to how I was doing, offered kind thoughts and healing vibes, and even – in the case of one GSUSA member from California, whom I'd never had any prior contact with – sent an envelope full of delightful event and fun patches, which they insisted were a gift, not a trade. In these acts and words I cannot help but see the naturally caring spirit of Girl Guiding and Scouting at its finest. To usher in my 'return' to posting, I'd love to share a wonderful tip with you on how to securely send (GG/GS) pins in the mail. Not too long ago I received about eight pins which came wrapped so ingeniously that I knew the moment I saw how they were presented, I'd be blogging it here. One at time, place a pin on a strip of bubble wrap so that the puffy bubble side is what the pin is resting on. Wrap the pin – fairly tightly – with the rest of the strip of bubble wrap so that it's entirely covered/protected and secure the bubble wrap with piece of tape so that it can't come unwrapped. Place the bubble wrapped pin into a pop bottle lid (it's fine if some of the bubble wrap sticks out over the sides a little, just so long as the pin itself is nestled into the bottle lid). Wrap the lid (with pin inside) with a piece of tape, securing it so that the pin cannot fall out of the lid. Repeat with as many pins as you plan to send/store/trade/etc. For added protection send pins in a bubble lined mailer (envelope), placed all together in a plastic bag or good sized paper envelope. Not only does this method do a great job of keeping pins safe and secure when travelling through the mail, it provides the receiver with fun little gifts to open. If you wanted to send bigger sized pins (or even buttons or sturdy homemade swaps), you could implement this same technique and use lids/tops from products such as 4 litre (1 gallon) milk containers, plastic yogurt container (the kind that have lids with rims), jam jars, baby food jars, and the twist-on tops from vitamin bottles. Be creative and resourceful, while recycling – and protecting your traders – all at the same time. Up until now, I’ve not written particularly personal posts on this blog (that is to say, I’ve kept to the main topics at hand – Girl Guides/Scouts and patch trading), however I wanted to inform my readers and visitors that I may not be adding any new posts for the next few weeks. I’m dealing with some serious health issues at the moment and am currently bed ridden, unable to sit or stand for more than a few moments with out experiencing very severe pain. Help and hope is on the horizon though, as I’m scheduled for surgery towards the end of April. Fingers firmly crossed that all will go well and I’ll soon be on the mend and able to (sit up and) write new posts. If you’ve just discovered this site (a very warm welcome to you!) and would like to trade patches (or contact me for any other reason) please still feel free to do so. I’m checking my email whenever possible (it’s not all that difficult to read while lying in bed on your side, but it can be a tad trickier to type), and with my husband’s help, I can still send out patch trades (and update my dupes page, as needed). Thank you everyone for your understanding. While my body is ‘out of commission’ for the next while, I’m sure my mind will remain as active as ever, ready to return and post oodles of fun and interesting new Girl Guide and Girl Scout related articles soon. 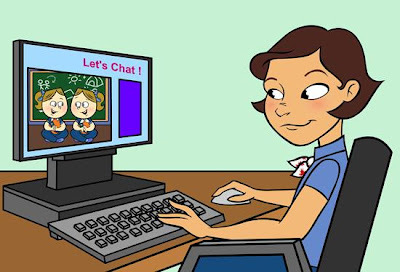 Girl Guides of Canada has officially announced recently that by September 2009, they plan to create a nationwide online shop. Currently much of the GGC’s annual merchandise catalogue is available for viewing online on the national website, but orders cannot be placed directly through the site itself. With this exciting news however, GGC members, non-members and collectors alike will all be able to avail of the convenience that comes from directly being able to order anything they fancy from the comfort of their own home computers. Currently web shoppers are able to order a selection of GGC and province specific items from both the Ontario and Alberta Girl Guide provincial council website shops, but autumn 2009 will mark the first time that the entire national GGC catalogue will be widely (presumably in its entirety) available online for all of your buying needs. I’m personally happy about this impending ecommerce site and truly hope that that it’s able to take off and soar. (Fingers crossed however that the GGC does not do away with traditional paper catalogues in the wake of this step towards modernization. So far the GGC has said that they plan to keep catalogues in production. Which is really good news, as I know for a fact that both I and many others out there with a vested interest in GGC absolutely adore – and shop from – the physical catalogue itself, and will likely continue to do so, even if a fully stocked ecommerce site is available around the clock). One thing however, that sent up a red flag for me, is that near the bottom of the GGC’s announcement, they briefly discuss a plan to do away with all GGC shops (that is to say, physical store locations across various Canadian towns and cities) by 2010. The reason you may ask, why this paragraph sent chills up my back - well, aside from the fact that it’s always worlds better to be able to try on uniforms and other clothing related items in person, than to guess at the right size when ordering online - is that I can’t help but wonder what such a decision would mean in terms of the production and sale of Area, Divisions, and District crests (patches) and pins. For now though, there’s little point in worrying too much. The GGC clearly knows what they’re doing, and there’s certainly nothing to say so far that A/D/D items wouldn’t be available still. I’ll be monitoring these merchandise changes very carefully as further news unfolds, and will share whatever I learn with my readers here. As an avid collector of Girl Guide related objects, I’ve come across several eBay auctions over the past few months wherein an item with a trefoil or clover shape on it was being promoted as a Girl Guide/Scout item, even if though in reality it almost certainly was never issued or created by any branch of Guides of Scouts worldwide. The reason that I bring this subject up is that I would never want any of my fellow collectors to buy an item that they believed to be GG or GS related, only to find out later that they were either intentionally duped or accidentally misinformed, and that their item was in fact, not one of GG/GS origin. I’ll give you a prime example of what I’m talking about. A while back an eBay seller had a bookmark listed (in hindsight I should have saved the listing photo for example purposes) which they titled as being a Girl Guide bookmark from the nineteenth century. There’s just one glaring problem with that description, Girl Guiding did not begin until 1909 (with Boy Scouting being started by Lord Baden Powell in 1907), so unless LBP was secretly creating merchandise before he’d even formally begun the Scouting movement, this bookmark was not authentic. But wait, I can hear you say, what if they just got their dates wrong? Great point, and certainly one that could happen, but (and I realize that you have to take my word for it here) nothing on the bookmark itself said that that it was related to GG or GS. I believe it was creamy white coloured ribbon which showed a trefoil-like shape, possibly with some written text, but again nothing that would indicate it was GG related (or even a hundred plus years old, regardless of its questionable relationship to Guiding). I think the asking price was only a few (or perhaps even a couple) of dollars, so had a well meaning collector purchased the item, they wouldn’t likely feel too ripped off. But still, that’s not entirely the point. It’s import when you’re looking to buy Girl Guide and Scout items (memorabilia), on eBay or elsewhere, to try and verify (if you’re at all uncertain) whether or not the item was in fact created for or by an official GG organization or merchandise provider. The point is to ensure that what you’re buying in genuine whether it costs fifty cents or five hundred dollars. In some instances, I believe that sellers are well intentioned; they may have little to no firsthand experience with the Guiding or Scouting movement and may genuinely believe in good faith that the item they’re listing really is a GG or GS one. From what I’ve seen, this is most often the case when an item (badge, patch, piece of clothing, postcard, etc) has a trefoil shaped symbol on it. Right now for example, a seller has a ring listed on eBay with a somewhat trefoil-ish shape on its face. The seller says outright that they’re not sure if it’s GG related, and in my opinion, I don’t think it is (but, I am far from an expert on GG jewellery, so if you come across this same listing, please draw your own conclusions). As a collector, I appreciate such honesty on the seller’s part, and would always prefer someone to say “I’m not sure”, than to swear from here to the moon and back that it’s as authentic as had Lady BP handcrafted it herself. Yet in other cases, dishonest sellers may be out to try and scam potential buyers and collectors by attempting to pass off items with trefoils (or even just clover/shamrock shaped symbols) as being GG merchandise, when in fact they are not genuine Guiding items. The trefoil, a tri-pointed leaf shape, is actually an ancient graphic configuration, whose name in Latin means “three-leaved plant”. It has figured often through history in the art and heraldry (coats of arms) of numerous cultures, especially that of the Celts and Scots (it is also somewhat similar in appearance to the fleur-de-lis, a symbol which is often associated both with the French and with various military related items, as well as being widely used by Boy Scouting movements around the world). Today the trefoil is still commonly used in everything from art to graphic design, and often appears on items in Ireland (I’m speaking firsthand here, having lived in Ireland for two years). Girl Guide and Girl Scout movements from around the globe have long universally adopted the trefoil as their symbol. From country to country, the artistic interpretation of this shape does vary (call me biased if you like, but the current Canadian Guiding trefoil is my very favourite version), but it’s usually always clearly a trefoil. In some countries where Scouting and Guiding are more fused together than they are in North America, the trefoil may appear atop or beneath a Boy Scout fleur-de-lis, from example, as in the symbol of Scouting and Guiding in Slovakia. If in doubt about an item’s authenticity, ask the seller for more information (i.e., “Aside from what’s written in the eBay listing, what can you tell me about this item’s history?” or “Where did you first find/buy this item from”), and try to see what sort of further information you’re able to encounter by doing an internet search for the item in question. 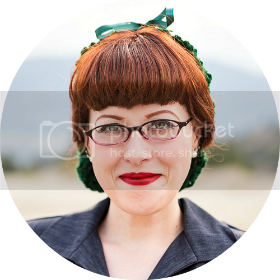 Yahoo Girl Guide/Scout collecting related groups are also someplace where you could inquire as to a piece’s credibility, as many collectors in such groups have a wealth of knowledge when it comes to past and present GG/GS collectables. Collecting Girl Guide items is about buying, trading, and finding pieces that bring you happiness and likely add to your existing collection. Have fun, do your research where needed, and remember that trefoil or not, make sure what you’re buying or trading is the real Girl Guiding deal.